items go in. An amazing bonus, is that our app will remind you when your next council clean-up is! Now that is certainly unique. What issue does my app address? Our app addresses the issue of pollution. Part of the worlds pollution is caused by landfill over flowing. How does my app address the issue defined? 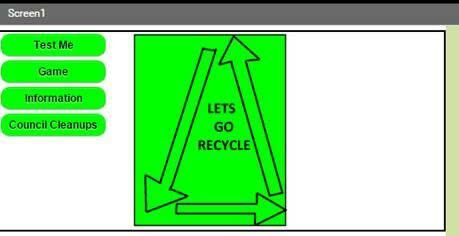 It shows users how to recycle and use a compost bin properly. The things that they will recycle will not go to land fill. This will decrease the amount of pollution in our environment. Our app will also remind others when their next council cleanup is . What are the main features of my app?